Norwegian-born Erik the Red was either a great marketer or just a truthful traveler, depending on which stories you choose to believe. Growing up, you probably learned in school that Erik the Red named the world’s largest noncontinental island “Greenland” (Grunland) to entice his neighbors and friends to settle the new country with him. However, that may only be partly true. The southern portion of Greenland that is not covered by glaciers is green in the summer months and was probably even greener during Erik’s time, the Medieval Warm Period. In any event, he must have been quite convincing, because in the summer of 985, 25 boats filled with about 500 emigrants and their domestic animals sailed from the west coast of Iceland for the inviting fjords and green valleys Erik the Red had talked about. Unfortunately, only 14 of the ships made it. Travel to Greenland today, of course, is a lot safer. The country is still a hauntingly beautiful place, although not as warm as in Erik’s time. Today, Greenland’s Ice Sheet is the second largest mass of ice on Earth. But over the past two decades, warming temperatures have caused Greenland’s great ice cap—which contains enough water to raise ocean levels by about 20 feet—to melt. That’s why studying Greenland’s ice from past climate periods will help us better understand how it might respond to our current warming trend. Just recently, online in the Journal of Geophysical Research: Earth Surface on January 16, 2015, NASA scientists published the first-ever, comprehensive map of the thousands of frozen layers of ice deep inside the Greenland Ice Sheet. A video of that map is shown below. 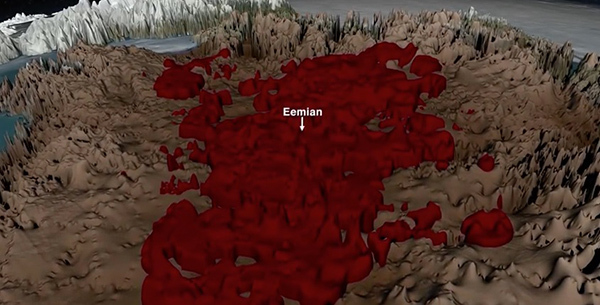 Watching the video is like looking back to the time of Erik the Red—and beyond it. NASA states that each layer of ice is not only a record of snowfall and melting events, but what the Earth’s climate was like at the dawn of civilization, or during the last Ice Age, or during an ancient period of warmth similar to the one we are experiencing today. 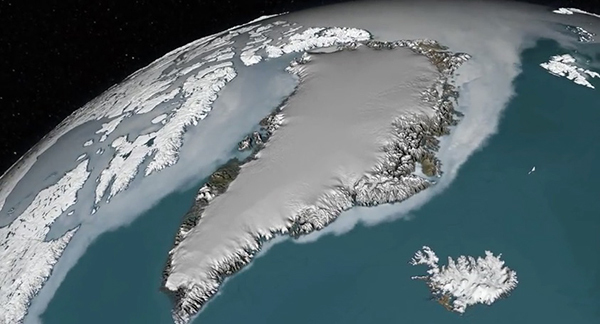 The map was created by using state-of-the-art radar to survey previously unexplored areas of the Greenland Ice Sheet and combining that information with data from ice cores. It’s hoped that this information will be helpful in projecting Greenland’s future contribution to sea-level rise. Personally, I think Erik the Red’s marketing message would have been lost on me. There are already enough warm, green and inviting places on Earth. I prefer the few left with ice. Thank you Candice for posting this very informative video. I love learning about this beautiful planet we inhabit. She has been here for billions of years and still going strong…. Don, no, snow builds up in winter compressing lower layers into ice which is lost in glacial action and melting forming a balance. While there are cycles both long and short term the recent warming and melting is rapid. Between 1979 & 2006 Greenland lost 30% more ice than it gained. We should be concerned that if the entire Greenland ice sheet melted sea level could rise 6 m and with the Antarctic peninsular warming 2.5 deg C since 1950, melting of the Antarctic ice sheet would raise sea level 60m. Not good news for coastal and low lying inland areas below 67m AHD. What an interesting video! Thanks you for sharing. An interesting animation. 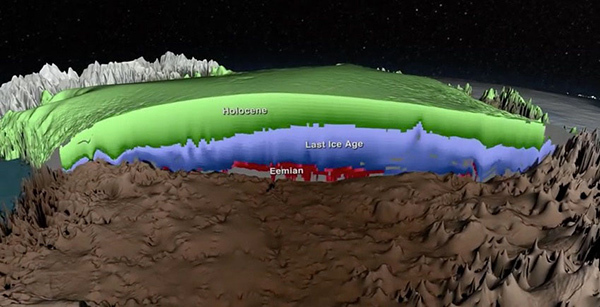 Does this mean that there is more ice in the Greenland ice sheet now than there was at the end of the last ice age? If so could that not demonstrate that the warming and cooling of the earths biosphere is cyclic. And that this warming trend is also cyclic. Probably driven by long term solar cycles and changes in earth’s elliptic.